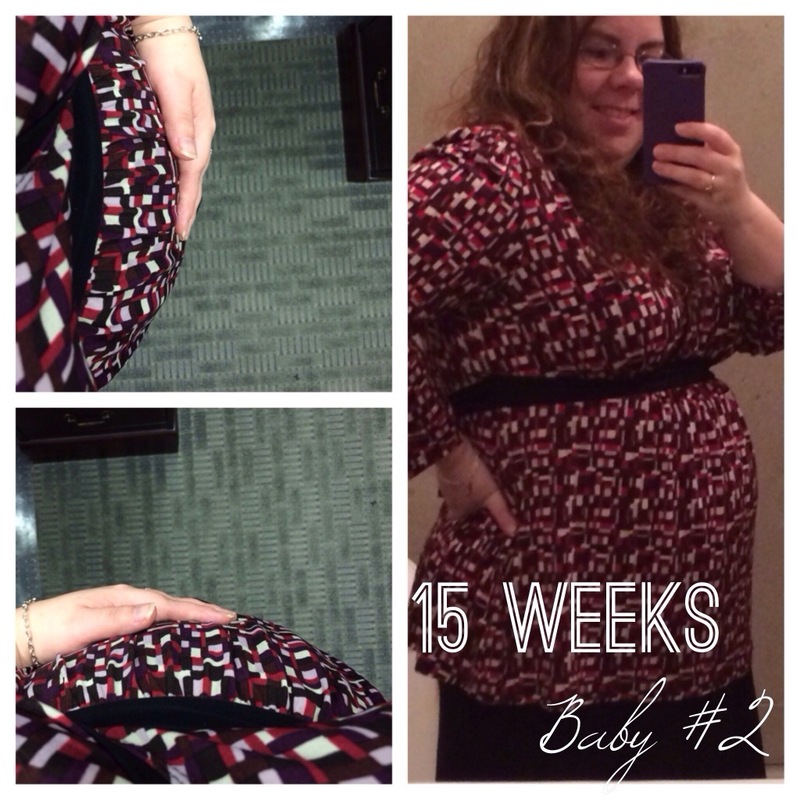 15 weeks (yesterday). We find out gender next Thursday. So far everything is going good. Morning sickness has eased up a bit, now I just have a really sensitive gag reflex, so any weird smell makes me sick (which is getting really tiresome). Blood pressure is still doing great. Getting pregnant less than six months after Josh means I’m carrying this baby super high and already look huge (this shirt isn’t helping).